Tomsu's new 212-page book, issued in 8.5x11-inch hardcover format, shows in more than 500 detailed color photographs how to tie 20 of his favorite trout patterns covering eight major categories of trout stream insects -- from effective fishing versions to highly realistic flies worthy of formal display. 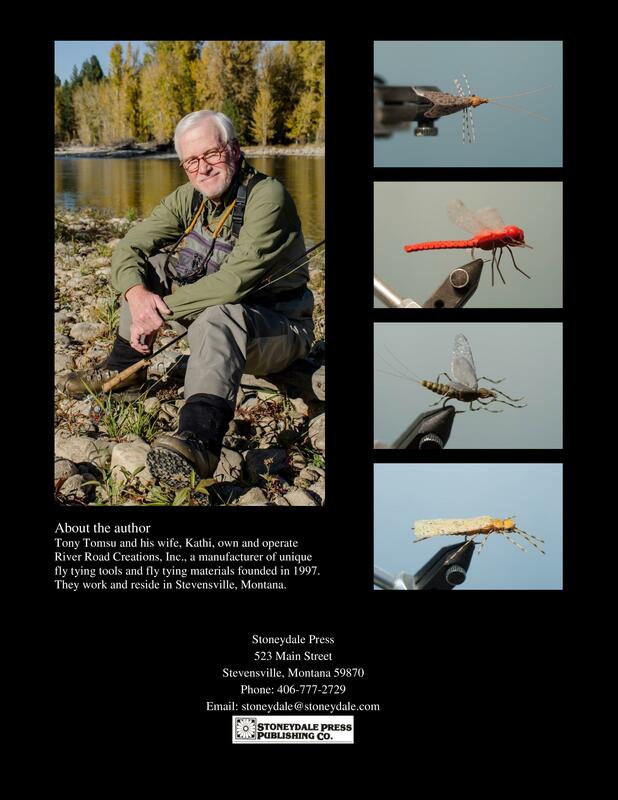 More than just a "how-to" book, "Creations from the River Road" also features a Foreword by famed author Doug Swisher and Tony's own reflections on fly design, his fishing experiences, and the influences of some of the many fantastic fly tyers he has had the pleasure to meet and work with over the years. Swisher, himself a legend in the world of fly fishing for his books, "Selective Trout," had this to say about Tony's book in his Foreword: "One thing about Tony, he doesn't keep secrets to himself. Instead, he shows such things as his unique coloring system and awesome technique for bending legs. He's light years ahead of his time. This book will get your creative juices going!"